finance assets are estimated at around USD 2 trillion, practically a ten-fold increase from a decade ago, and outperforming the growth of conventional finance in many places. Even though many interest-free banking products are similar to conventional banks; the central concept of interest-free banking and finance is equality, which is achieved through the sharing of risk. All the stakeholders are to share profits and losses, and charging interest is strictly prohibited. The term “Interest-free/Islamic banking” refers to the system of banking that is based on Islamic law (Shariah) and is guided by Islamic economics. All expressions are used interchangeably. Zakat: This is an important instrument for the redistribution of wealth in the form of a mandatory levy. It is the type of investment which represents the ownership of units of equal value in the equity. In Mudarabah, one partner provides the capital, while the other partner offers labour and expertise. Profits earned are shared in a predetermined ratio, whereas losses are borne entirely by the capital’s owner. In Murabahah, the buyer(customer) approaches the bank to acquire goods. In turn, the bank (seller) purchases them from a third party (a supplier) and then re-sells them to the borrower/customer (buyer) on the basis of an agreed mark-up for immediate or deferred payment. The total cost is paid in instalments and the product's ownership is with the buyer until the last instalment is paid. In Ijarah, the bank acts as a lessor, buys and leases out an asset or equipment required by its clients( who acts as a lessee) for a lease rental fee. The responsibility for maintenance/insurance lies with the lessor. Musharakah is a partnership agreement between the bank and the customer where equity is contributed by both the parties, either in cash or in the form of goods or assets.The profits earned and losses incurred are shared on agreed ratios. Istisna is a type of contract in which the manufacturer /contractor agrees to produce /build and to deliver a certain goods/premises at a given price on a given future date. The price might be paid in instalments or by part-paid in advance with remaining balance will be paid later, depending on the preferences of the parties involved. Sukuk represent Shariah-compliant securities which are backed by tangible assets. It has a face value linked to the value of the underlying asset which can be traded in the secondary market. As with conventional bonds, Sukuks have maturity and the issuer has. Buyback option on the maturity date. Risk involved is that the initial investment is not guaranteed and the returns or principal repayment completely depends on the performance of the underlying assets. Wakala is a money market concept used in deposit products by Islamic finance houses. The depositors fund the bank to invest in suitable Shariah projects. The bank acts as agent to invest the funds into various assets and projects. The bank which acts as an agent is entitled to receive a fee for its expertise and services while the returns will be given to the depositors or investors. Al-Wadiah refers to a concluded contract between the owner/depositor of the goods/money and the bank which acts as the custodian for safekeeping. In this contract the depositor(s) grants the bank their consent to utilise the money for whatever purpose permitted by Shariah laws. Depending upon the financial results, the bank may decide to pay a premium at its discretion, to the depositors/customers. Under Qard Hassan(benevolent/virtuous loan), a loan is sanctioned on a goodwill basis, with the debtor (bank), where the customer is only required to repay the amount borrowed. Banks are allowed to charge borrowers a service fee to cover the administrative expenses of handling the loan as they are given mainly for welfare purposes. 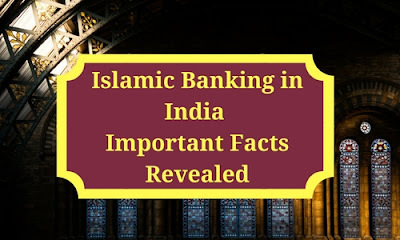 In 2000, the southern Indian state of Kerala experimented with Islamic finance with a financial company called Alternative Investments and Credits Limited based in Kochi which promoted interest-free financing vehicles following Islamic banking principles. In 2013, Cheraman Financial Services was launched, a NBFC (Non-banking finance company) promoted by the Kerala State Industrial Development Corp and focusing on Shariah-compliant financing projects such as land and housing development scheme based on waqf, Islamic endowments and donations. Later, Taurus Mutual Fund and Tata Mutual Fund offer Shariah-compliant investment schemes in India, not specifically marketed as “Islamic,” but as “ethical funds” in order to appeal to non-Islamic investors as well. EXIM Bank( in April,2016 ) has announced a collaboration with the Islamic Corp. for the Development of the Private Sector, a unit of Saudi Arabia-based Islamic Development Bank (IDB), to extend a $100mn financing line to support the export of Indian goods to Muslim countries. The IDB, would soon establish its first Branch in Ahmedabad.